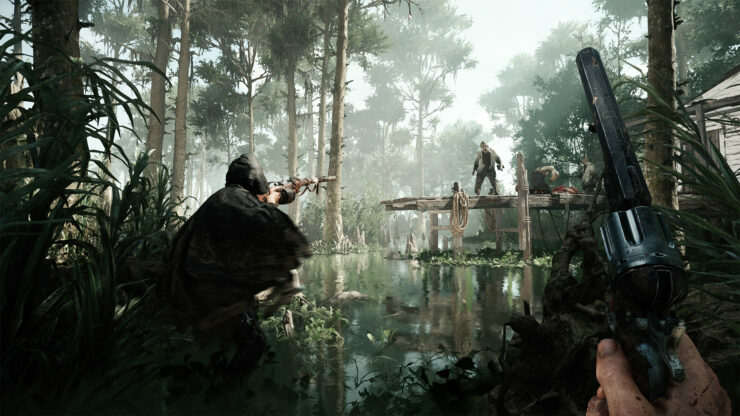 Crytek’s Hunt: Showdown launched on Steam Early Access in late February and has remained among the best-selling games in that category ever since. However, one common source of complaints is that the performance is hardly optimal. That’s par for the course with Crytek’s games, but it might change shortly. In a blog post, the developers explained that the first performance patch will be deployed this week on the test server. If you’ve been following along as Hunt: Showdown progresses through Early Access, you know we’ve been working hard behind the scenes to optimize, optimize, and optimize some more. Our goal continues to be improving the performance of the game and catering to an increasingly wider range of hardware over time and fix the issues that have been causing problems to the quality of your experience. With this patch, the general smoothness and response of the game should increase and in many cases overall framerate should also increase. In addition, this patch should fix the freeze that occurred when players were fighting in the Stillwater compound, as well as address the missing vegetation issue at the start of the game. We received a huge amount of feedback and helpful data from the community in this regard, and we would like to extend our thanks to all of you for your patience and feedback. We know we’ve been a bit quiet lately. Originally our plan was to release a hotfix the week before this performance patch to introduce changes to our backend that will pave the way for improved stability and lessen the frequency of server restarts. But during testing, some issues came up that required further tweaks (and then more testing), and we decided to include those fixes in the big patch. Between testing the hotfix and the patch and moving the office to the other side of town, we’ve been putting all our efforts into making this happen as quickly as possible. Have you been playing Hunt: Showdown and if so, what do you think of it?